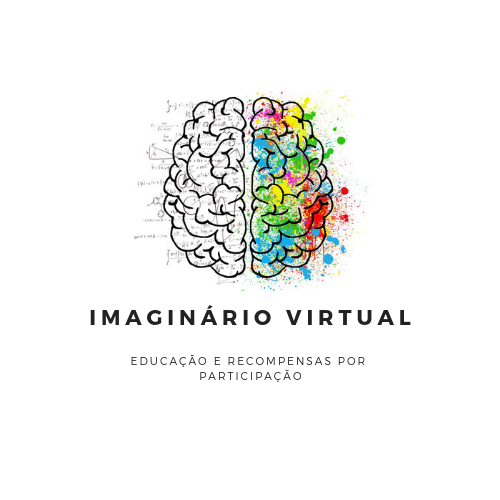 The Virtual Imaginary - @imagemvirtual account on Steemit is on the air. Still in formulation phase, the next few days I'll be explaining and working at the project here. As an analogy to developing software, I'll call the alpha phase. I've been building a website to work together on the proposed Steem protocol growth. Running on contributing to the growth of the @brazilians community, and the Portuguese-speaking community on Steem as a whole. The Virtual Imaginary is still in the beginning, just as I have been breaking my head to build a working model, encompassing the education proposal with the blockchain economy. So in this first stage of construction, it also serves in a certain way as a proof of concept. And there is much more to be done for a larger scale operation. The first step is the investment, financial, structural and in the concepts of this proposal. So I come at this stage formulating these concepts, in the short, medium and long term. In order to use @brazilians tokens system. The site is already on the air, and now I am filling with education content, and build accounts on other networks too. I'm using @engrave to host, which still offers few addendums for collaboration, but I hope to have more in the future. In any case, it will be a holding account, that is, there will be no power down, and it will complement the economy that I intend to build to sustain the project. All posts in this account will have as a beneficiary @brazilians with 20%. And when you have income you will use the system of signing and tokens of the community account. It will also be an account to account for the site, and the data produced, in addition to computing the participations, and serve to optimize the rewards for the participations. Congratulations! This post has been upvoted from the communal account, @minnowsupport, by matheusggr from the Minnow Support Project. It's a witness project run by aggroed, ausbitbank, teamsteem, someguy123, neoxian, followbtcnews, and netuoso. The goal is to help Steemit grow by supporting Minnows. Please find us at the Peace, Abundance, and Liberty Network (PALnet) Discord Channel. It's a completely public and open space to all members of the Steemit community who voluntarily choose to be there.